Happy Friday, my friends! Fall is in full-swing here is Dallas, TX, and I am loving it! As the weather is getting cooler, I find myself reaching for the same few items in my closet for a quick put-together look! 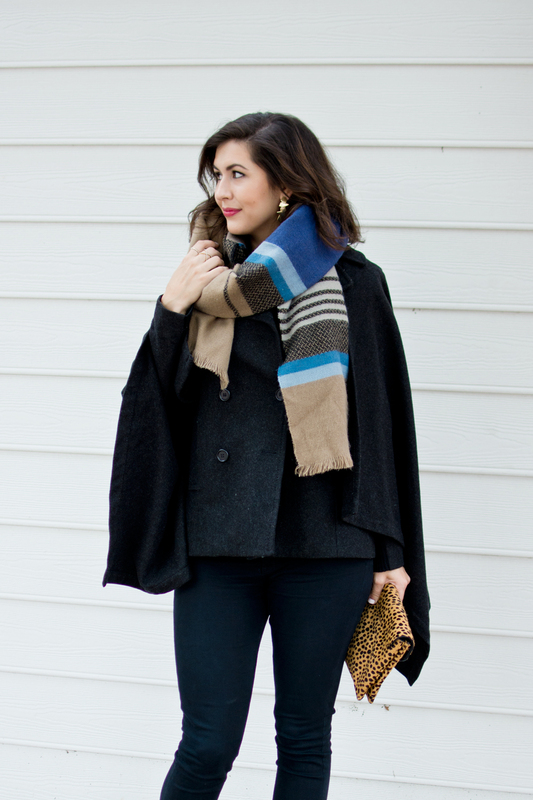 Of course, black on black with a pop of color is always chic, but lately I've been loving a cape coat and blanket scarf to tie my outfits together. Besides being practical (they're so warm), blanket scarves are a great way to add color or pattern to an otherwise plain outfit. I love the versatility of blanket scarves and being able to tie them multiple ways to achieve different looks. This Hinge scarf is one of my favorites because it's warm, stylish, and at $39 it doesn't break the bank! I couldn't be happier that I have a weekend of perfect weather ahead of me, complete with Dallas Blogger Brunch, a lakehouse trip, and followed by a Friendsgiving dinner party! I have so much to look forward to... and will probably be wearing a blanket scarf all weekend! 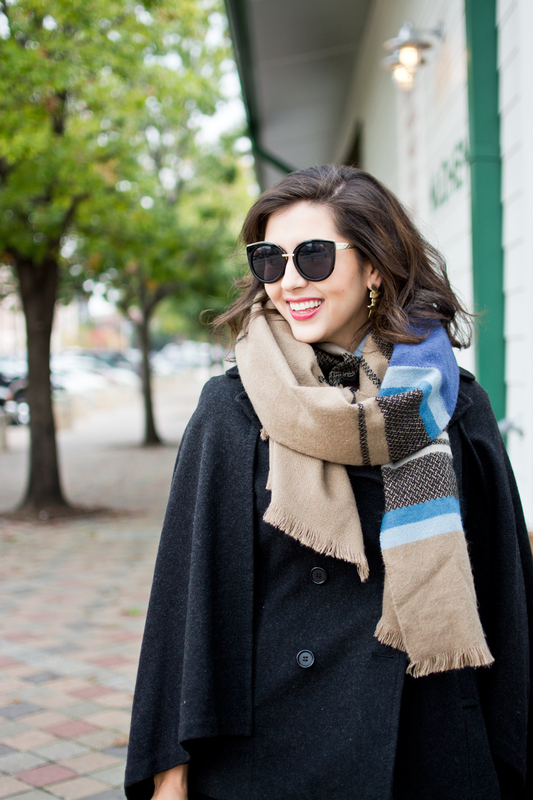 Shop my favorite blanket scarves and cape coats below and have a great weekend!